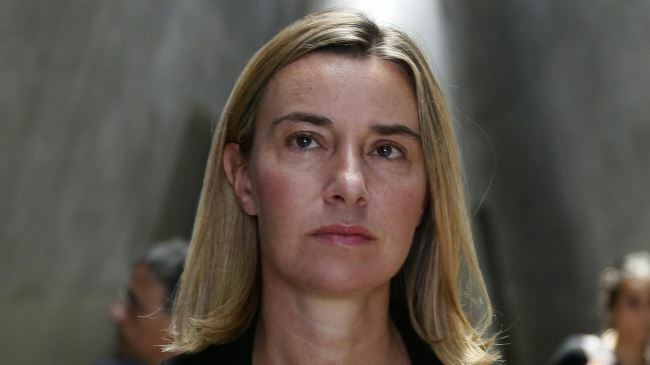 IRNA – The European Union on Friday said that the union has been informed of the US missile strikes on a Syrian airbase but stressed that a negotiate solution was the only way out of the conflict. According to foreign media reports, two US warships in the Mediterranean Sea fired 59 Tomahawk missiles intended for a single target – Shayrat Airfield in Homs province in western Syria, the US Defense Department said. The missile attack was carried out without permission from UN Security Council and the US Congress. Syria strongly denies role in Idleb chemical attack. Syrian military forces are fighting against Daesh terrorists in the east of Homs province and the Takfiri group, formerly known as al-Nusra Front, in north of the country.